Home Bible Studies About Communion Is It OK To Be Taking Communion At Home? 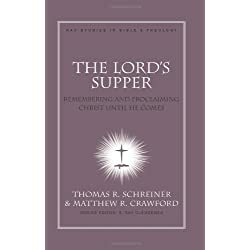 What does the Bible say about taking the Lord's supper at home? Well without presuming that I am speaking for the Almighty, I thought that it would be helpful to go into more depth on taking communion at home and look at some of the issues surrounding the subject. So we will take a look at whether or not the Bible talks about the necessity of having a minister or priest bless the sacraments, whether or not communion has to be a group event, and the motive behind taking communion in the first place. 17 But in the following instructions, I cannot praise you. For it sounds as if more harm than good is done when you meet together. 18 First, I hear that there are divisions among you when you meet as a church, and to some extent I believe it. 19 But, of course, there must be divisions among you so that you who have God’s approval will be recognized!20 When you meet together, you are not really interested in the Lord’s Supper. 21 For some of you hurry to eat your own meal without sharing with others. As a result, some go hungry while others get drunk. 22 What? Don’t you have your own homes for eating and drinking? Or do you really want to disgrace God’s church and shame the poor? What am I supposed to say? Do you want me to praise you? Well, I certainly will not praise you for this!23 For I pass on to you what I received from the Lord himself. On the night when he was betrayed, the Lord Jesus took some bread 24 and gave thanks to God for it. Then he broke it in pieces and said, “This is my body, which is given for you. Do this in remembrance of me.” 25 In the same way, he took the cup of wine after supper, saying, “This cup is the new covenant between God and his people—an agreement confirmed with my blood. 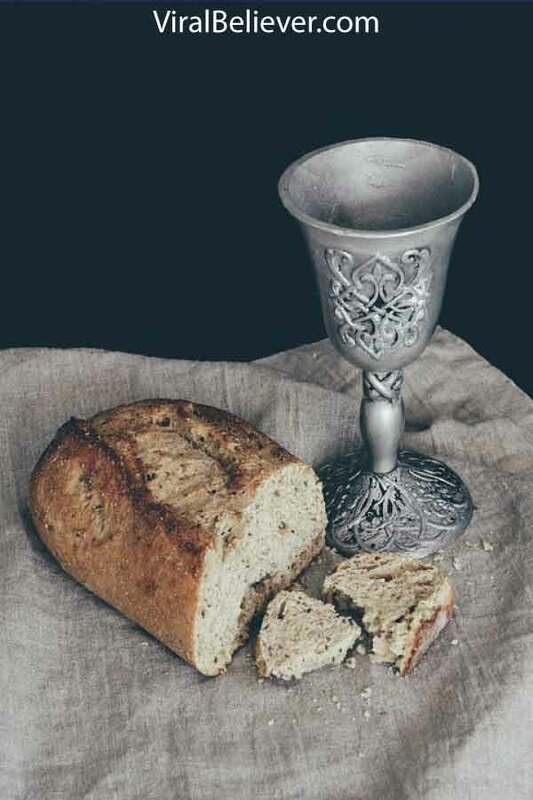 Do this in remembrance of me as often as you drink it.” 26 For every time you eat this bread and drink this cup, you are announcing the Lord’s death until he comes again.27 So anyone who eats this bread or drinks this cup of the Lord unworthily is guilty of sinning against the body and blood of the Lord. 28 That is why you should examine yourself before eating the bread and drinking the cup. 29 For if you eat the bread or drink the cup without honoring the body of Christ, you are eating and drinking God’s judgment upon yourself. 30 That is why many of you are weak and sick and some have even died.31 But if we would examine ourselves, we would not be judged by God in this way. 32 Yet when we are judged by the Lord, we are being disciplined so that we will not be condemned along with the world.33 So, my dear brothers and sisters, when you gather for the Lord’s Supper, wait for each other. 34 If you are really hungry, eat at home so you won’t bring judgment upon yourselves when you meet together. I’ll give you instructions about the other matters after I arrive. There is a big difference between how we celebrate communion and how the early church celebrated it. 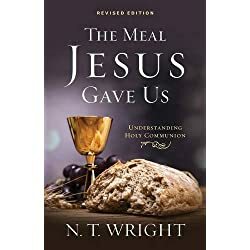 In the early church, communion was more of a full-fledged meal instead of a small wafer and a little thimble of grape juice or wine. They would celebrate the feast together as a community and would sit down together. Paul begins this instruction by confronting the church for divisiveness. He even gets a little sarcastic and talks about having divisions between those that are approved by God and those that aren’t. Paul knows and so do we that if a person has accepted Jesus Christ as their savior, then they are approved by God because it is based on what Jesus did at Calvary and not on our merit. Paul goes on to chastise them for having ungodly motives when they are partaking in communion. He says they are being self-centered and not interested in remembering the sacrifice of the Lord. The rest of this passage is talking about this problem within the church. Does A Pastor, Minister, Or Priest Need To Bless The Elements Of Communion? Nowhere in the scriptures does it talk of the need to have the elements blessed. They are blessed when people partake of them with the right heart and motives. Notice that it talks about people being interested in eating their meal and not sharing with others. This would indicate that people brought from home the elements that were going to be used for the celebration of the Lord’s Supper. So the evidence shows that there is no need for a Pastor, Minister, or Priest to do something special to the elements to make them a sacrament. Does Communion Have To Be A Group Event? In this passage, communion is a group event. They are coming together to do this celebration. There is no recorded instance of communion being partaken of alone. However, you cannot build a doctrine on a lack of evidence. There is also no evidence of musical instruments being played in the New Testament during a church service, but that doesn’t mean that there weren’t or that instruments were forbidden. It just says that there was nothing recorded about it. There were plenty of references to musical instruments being played in the Old Testament. So, it is my opinion that there can be certain circumstances where it is proper to take communion at home. However, they should be the exception to the rule and not the law. The reason I believe this is because communion is a remembrance of the sacrifice that Jesus did for “all of us.” Although it is incredibly personal since we have all been born again, it is applied to all born-again believers. Paul states that when we take communion, we are announcing or proclaiming the Lord’s death. If you are taking it alone, then who are you announcing the Lord’s death too? Who are you proclaiming it to? 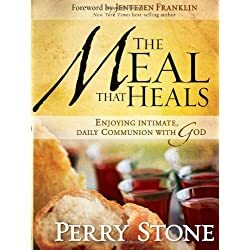 When you take communion at home alone, you lose out on two critical things that are intended to happen when people partake of the Lord’s Supper. You lose out on the awareness that Jesus not only sacrificed His life for you, but you lose out on the opportunity to proclaim that sacrifice to others. Why Do We Take Communion? Communion takes us back to what I like to call the “main and the plain” things of the gospel. God chose a simple message and a clear application. The wine or fruit of the vine symbolizes the blood of Jesus. The blood of Jesus washes all of us of our sin. The bread symbolizes the broken body of Christ that was brutalized for our healing body, soul, and spirit. What He took in His body purchased our wholeness. Communion is not the application of these truths but the remembrance of these truths. We are to remember the sacrifice that was given for our right standing with God and the wholeness that He brings. If we partake of communion in an unworthy manner, then we dishonor what Jesus did. So what does it mean to take these elements in an unworthy manner? For years I was taught that taking communion in an unworthy manner meant taking it with unconfessed sin in your life. It was not until I started reading this entire passage that I came to understand that Paul is talking about taking communion with the wrong motives. Communion is the remembrance of the sacrificial giving that Jesus has done for us. When we take communion without discerning this, then we are taking it in an unworthy manner. If we are taking communion for selfish reasons, then we are dishonoring what the Lord did and sinning against the very intent of Jesus when He willingly shed His blood and allowed His body to be broken. When you are not discerning the Lord’s body, then you are taking communion in an unworthy manner. You are thinking only of yourself. Jesus was thinking of all of us when His blood was shed, and His body was broken. When there is strife, division, self-centeredness going on when people are taking communion, then they bring the judgment of God upon them. They are not doing it for proper reasons, and God will discipline them until they learn to stop walking in strife, division, and being so self-centered. Part of the reason God placed us in a church body is so that we can learn to work with one another, not separate ourselves from one another. So in the end, taking communion at home should not be something you are doing because you cannot get along with people or the leadership of your local church. The reason you are taking communion at home should be because you are UNABLE to receive communion at a local church. If you are doing so for another reason, then you really should examine yourself and see if you are taking communion at home for the reason that makes it in an unworthy manner, not discerning the body of Christ.